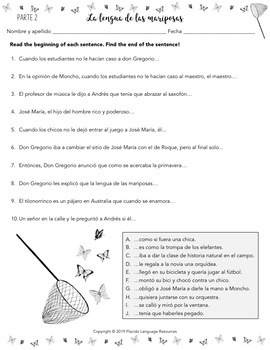 These readings and activities are designed to be used with Spanish students in level 3 - AP. I teach this film before the study of the reader La hija del sastre by Carrie Toth and Carol Gaab published by FluencyMatters.com. This movie is rated R (however if you follow my editing suggestions I feel it is no higher than a PG-13). Please preview movie thoroughly before using with your students or purchasing this guide. If you plan to leave the movie with a sub, be sure you have located the parts to skip and that the sub is fully prepared to skip them unless you have decided they are appropriate for your classroom. You can use this unit as a stand-alone unit without even viewing the film if you wish! 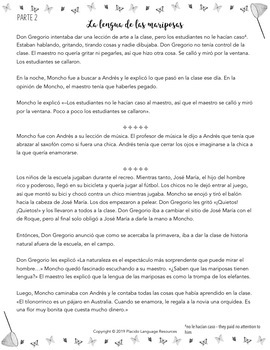 Part 2 27:48 – 42:00 Activity: 10 Spanish sentences - Match the beginning of each sentence to the correct end. 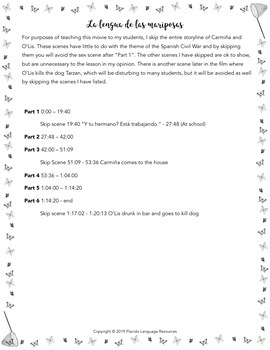 Part 3 42:00 – 51:09 Activity: 10 Spanish quotes - Which character said it? Part 4 53:36 – 1:04:00 Activity: 4 short essay questions: Thought provoking! 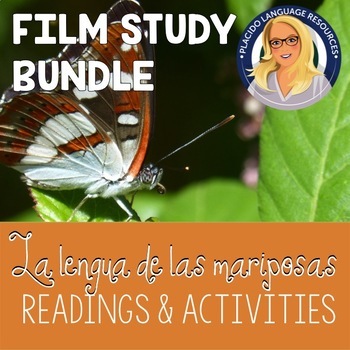 The 2 resources included in this bundle may also be purchased individually if you prefer!